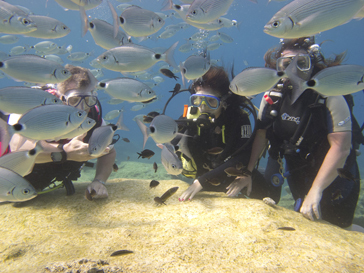 Scuba diving in Cabo San Lucas is a great adventure for all kind of expertise: we have dive sites for very advanced divers but also easy sites for those who want to begin with and introductory course such as the PADI Discover Scuba Diving program. If nature could have made a perfect beginner dive site then Pelican Rock is that example. Only 5 minutes by boat from the Marina of Cabo San Lucas and therefore friendly to those who suffer motion sickness, the descent area is protected from boats by an line of buoys making it a great spot also for those who just want to snorkel. 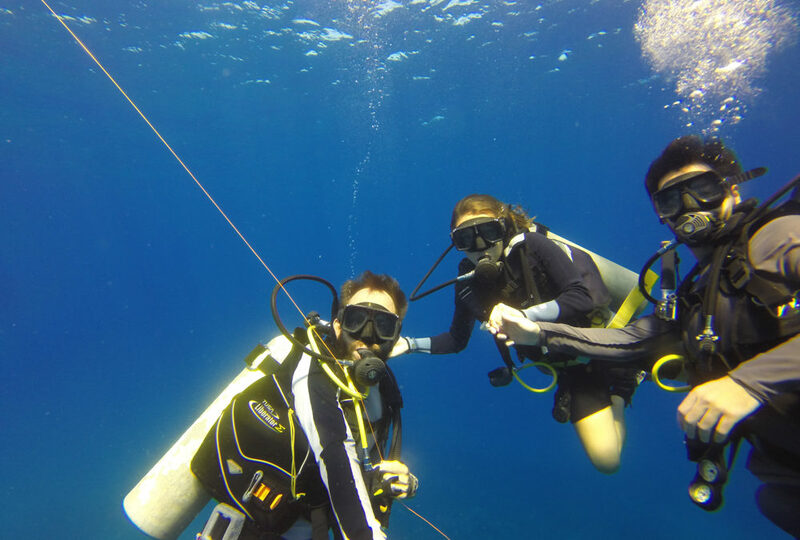 Your instructor can opt to descend in water as shallow as a swimming pool, or, go a little deeper with a line next to the pinnacle where you can immediately become immersed in a cloud of tropical fish. After only a short swim you will reach the sandy slope that gently takes you to your maximum depth of 12m/40ft. Here there are chances to see the reef shark who reside here. In addition, there are plenty of aquatic animals such as sting rays, eels, octopus and many impressive schools of colourful fish. 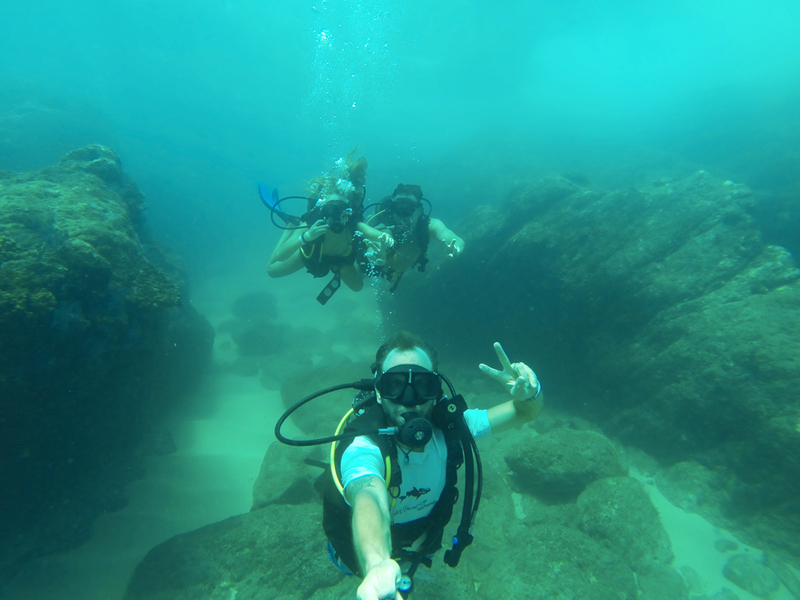 These ideal conditions make this one of the best dives in Cabo San Lucas. If you have natural buoyancy skills you can swim around the deeper part of the rock for a chance to see bigger animals passing by. It’s normal to see big silvery fish such as bonitos and jacks finning past divers like bullets and maybe even sea lions trying to play. If you need a little bit more time to get used to swimming in scuba equipment you can just hang out on the shallow side where you can try and find many little critters in the cracks of the rock and observe the fish out in the blue from the sandy slope. It really is a great family activity as well as an incredible life changing experience. You need to be at least 10 years old and in good medical shape. Your instructor will give you a detailed presentation and review some skills in shallow water. Then you’re ready to descend into the blue and encounter whatever surprises you may find. The best way to get started in the scuba diving activity by joining a PADI Discover Scuba Diving experience in Cabo San Lucas.